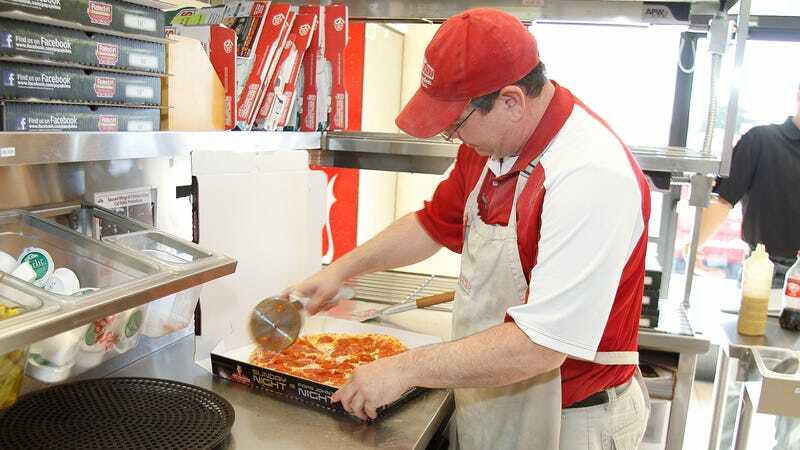 Papa John's is no longer the "official pizza of the NFL"
Papa John’s used to be known for making medium-good pizza pies, but the company inadvertently found itself in the middle of an extra-large shitshow last year when CEO John Schnatter—Papa John himself—suggested that the NFL protests were hurting sales because of Papa John’s status as the “official pizza of the NFL.” Schnatter then stepped down from the company after his stupid comment seemed like it would actually hurt sales, and the fallout is apparently still coming as The Hill is now reporting that Papa John’s and the NFL have just severed their old relationship. This all leaves the door open for some other medium-good pizza chain to step up and claim that title for itself, though it’ll be tough to find another nationwide chain that qualifies as sufficiently medium-good. Better ingredients. better Recommended Stories. Papa AV Club.